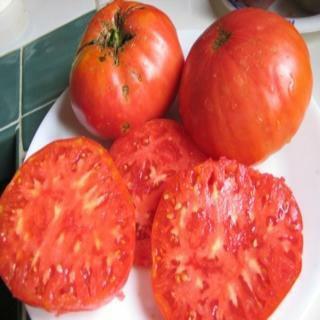 This heirloom, Watermelon Beefsteak, dates back to the 1800's and is one of the best examples of "good old time" tomato flavor everyone adores. Heirloom Seed Packet. A favorite and staple in my garden. This heirloom dates back to the 1800's and is one of the best examples of "good old time" tomato flavor everyone adores.